For a friendly and professional service you could do no better than to contact Camberley Glass and Windows for your replacement windows. We undertake any size of job from replacing a single pane of glass to replacing blown double glazing sealed units or even a complete replacement of all the windows in your house. Camberley Glass and Windows has been working in the county of Hampshire for nearly 50 years. We are a local company which grew from a group of family run business established in 1965. Being well known for our caring approach to our customers and attention to detail a lot of our business comes from personal recommendation. We have a testimonial page on our website and hundreds of positive comments on Checkatrade which bear witness to satisfied customers. We are also on the Buckinghamshire and Surrey Trading Standards Approved list of traders. We can meet your needs whatever style of window you are interested in. We have large range of windows in different materials, textures and finishes and can accommodate whatever window furniture and size of windows you wish. Our windows meet the highest standards for reliability, security and energy conservation. 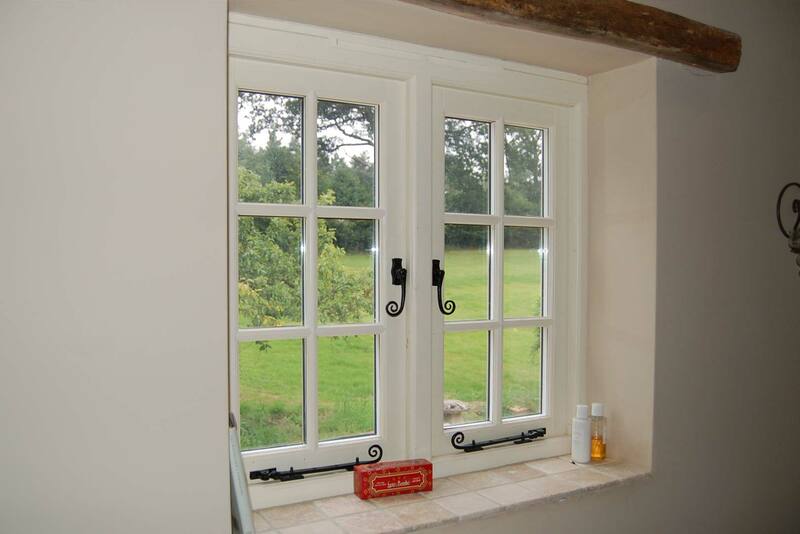 In addition all our double glazing and glass installations are backed with a fully insured guarantee. If you need any glass or glazing work done please contact us. We have a showroom at our offices in Camberley, Surrey, where you could look at the products we have on offer. Our advisers, who are fully qualified and FENSA registered, would be pleased to chat to you about your replacement window problem and answer any questions you may have.